METRO CITY LUCKNOW has launched a new project launched name” golden city” on Kanpur road with bank finance, Lucknow. This residential township project is spread over 74 bigha The total plot number is 450 that will give you all aspect modern features. Greenery, Main gate with security, Street Light, CCTV, Camera, Market, Parks, Dammar Road. Type : Property Type:………. 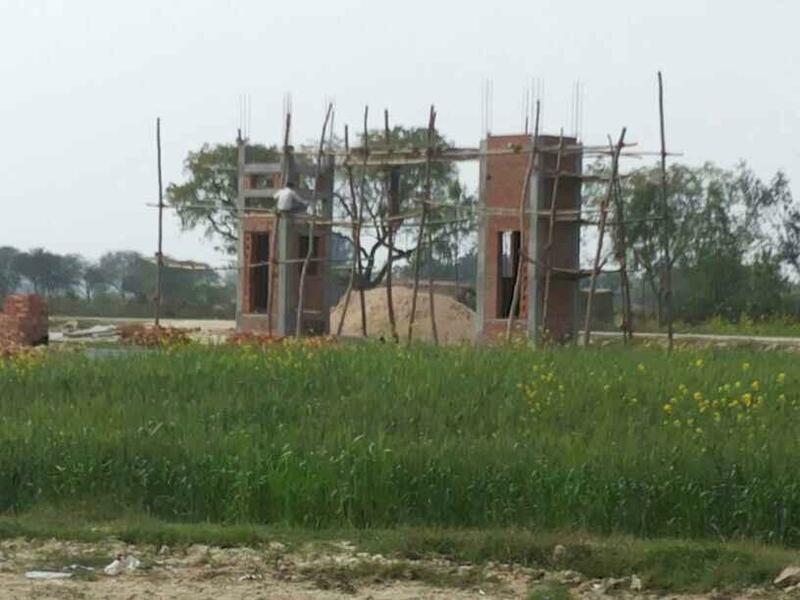 Residential Land (awas-vikas approved ) Location:………………. Kanpur road near Amousi airport . District, Lucknow (with Best Highway Connectivity). Area Range:………….. 750 to 2000 Sq.Ft. Our residential project is already surrounded with many houses and Govt. Location:………………. Kanpur road near Amousi airport . District, Lucknow (with Best Highway Connectivity). Area Range:………….. 750 to 2000 Sq.Ft. Our residential project is already surrounded with many houses and Govt. employee’s colony and many other renowned builder’s and developer’s project. In fact this project is most preferable for immediate living and wise investment as well. 2- metro station /BANK/ATM……………………………………………………..WALKING DISTANCE. 6- MASTER PLAN 2021 RING ROAD…………………….100 MTR. • Immediate Possession and registry. • 2 Main gates, 6 Parks, Street Light, RCC Road, Electricity, sewage . • 50 Public are currently living in our project . • ATM, Banks, School, Petrol Pump etc are within 300 meters range. Note – Please keep attention on below points, while booking the plots in any company. If you follow these points, I am sure nobody can make you fool in Lucknow. • Immediate Possession is must. If any company asks timing for possession, don’t waste your money there. • Check company’s original registry paper as well as awas-vikas approved papers.